As far as I can tell, no one around me “in real life” (except DH and approximately 66.7% of my kids) knows about my blogging and related adventures (such as the book). The people who know who I am in meatspace were first bloggy friends or acquaintances, but it never happened the other way around; I have never revealed the blog to anyone who’s an IRL friend, student, or colleague. I am usually very careful to not discuss with people IRL the things I post here; then again, science blogs never come up in conversations with my colleagues, so it’s quite possible that few dwell in the same corners of the Internet as I do. And this has been great! Pseudonymity enables me to write honestly in a way that writing under a real name never would (even if it weren’t completely terrifying to be female with an opinion on the web). 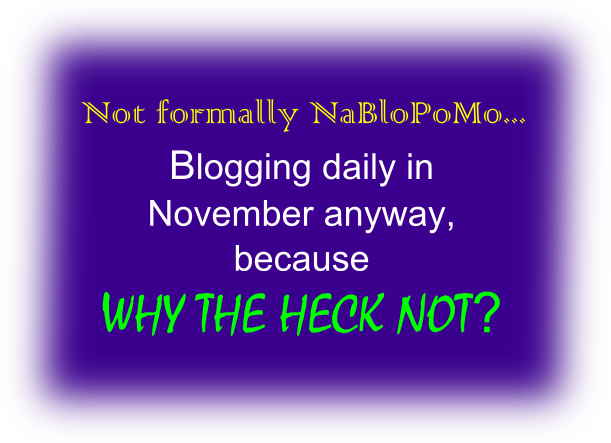 But, on occasion, pseudonymous blogging takes on a surreal hue. 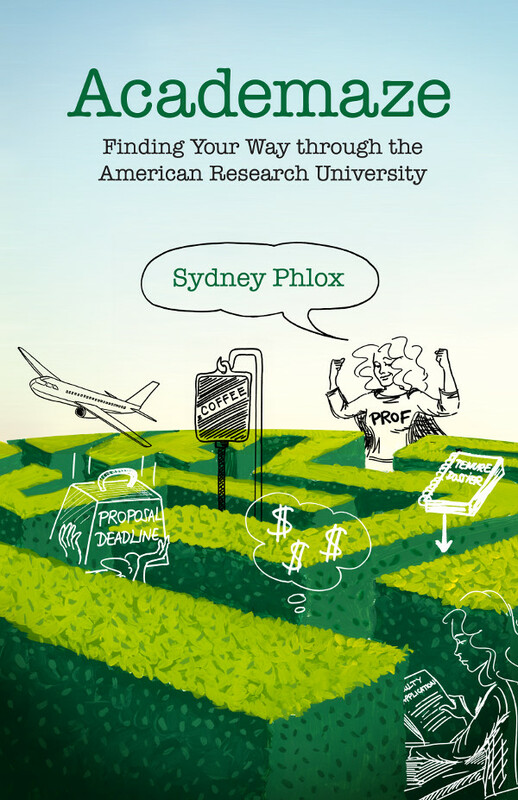 Recently, I almost told my former postdoc (FP) about the book. Almost. But I didn’t. The thing is, I think he could actually benefit from it. DH says I should just send FP a copy anyway, not as something I wrote, but just as a gift. I’d love to do that, but it’s risky: FP worked with me for several years, I can’t believe he wouldn’t figure out who the writer was. When I review student manuscripts, I sometimes come across issues that are common in student writing. When that happens, I fire off an email to the whole group, discussing the issue (in general terms, not revealing whose paper inspired it). A couple of weeks ago, one student said that I should start a blog (!) with writing tips for students. Another said maybe he’d collect “emails from advisor” and create a compilation himself if I won’t. I just smiled and said there’s plenty of writing advice on the web already, which is true. What’s surreal is me acting like their ideas are amusing, but not something that I’d seriously entertain, whereas, of course, I’ve been doing what they are suggesting I do for years. It’s surreal that any professor who likes what I have to say and wants to share it with their students can refer the students to the blog or get a book for their lab, but I obviously can’t. I’m not doubting the value of pseudonymity or regretting it at all. But it’s got some weird side effects. I was debating on whether I should get the book (partly because I have been following the blog for a while). However, “getting one for the lab” gives a very good reason to order it. A review from another WashU faculty, I will have to get one now! 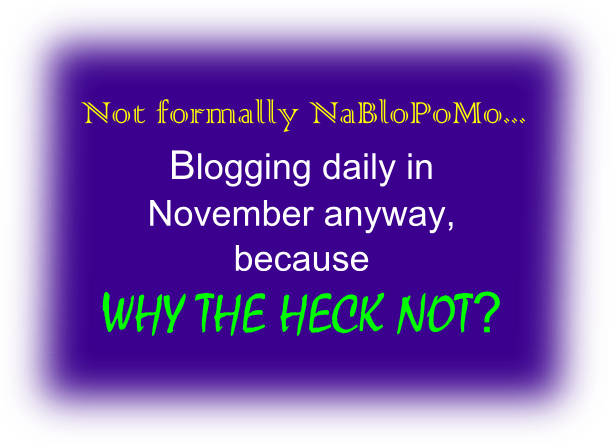 I know what you mean–I like being a pseud, and no one I know IRL outside of ProdigalSpouse knows about the blog. Sometimes, I want to point my own students at it, but I never do. I do sometimes point them at other blogs, though, so it is possible that some of my students unknowingly read my bloggy stuff. I imagine with the book (something tangible in the real world), the disconnect is even more surreal. I’m always amused when I find out people from my gen and younger (I’m a postdoc) don’t read blogs by professors. Why would you not read the unfiltered musings of people writing your recommendation letters, on hiring committees, etc. in the career you aspire to have? I always tell the skeptics that these sorts of things are important because of the good old “known unknowns vs. unknown unknowns” – these blogs are a tremendous resource for answering questions about this career you didn’t even know you had. So to wrap this up, thank you, to you and your fellow bloggers! I gave up on keeping my pseudonym secret after blogging for just a little while. Since I don’t say anything on the blog that I wouldn’t say directly to or about the people involved, there wasn’t much point in being secret. It would be harder if I talked about individual students, but I’ve (mostly) avoided that, talking only about classes as a whole. It looks like some of the paperbacks are ready to go early!